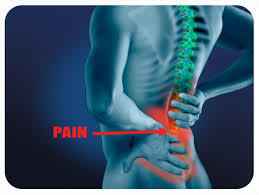 General purpose of this article is to discuss some treatments for Lower Back Pain. Most problems involving back pain is usually treated in a moderate way, while certain conditions may need have surgery. Most patients experiencing back pain will begin feeling relief a couple weeks after beginning treatment. Another important treatment for back pain is psychological remedy. Back pain often causes large amounts of stress because of the fact people suffering aren’t equipped conduct everyday activities.